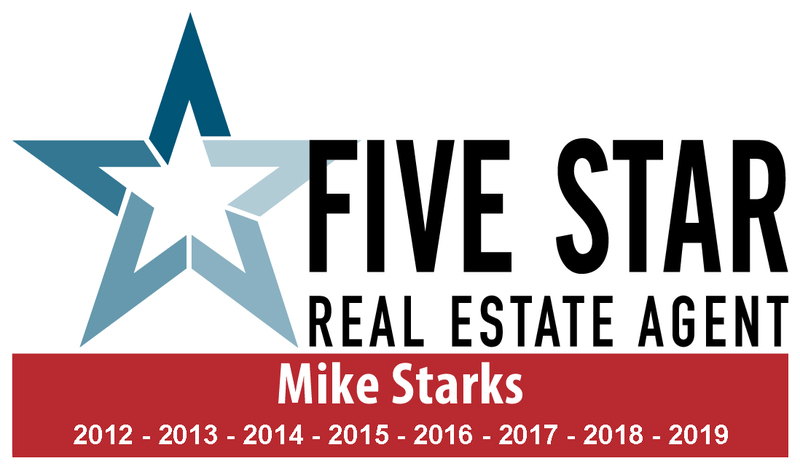 For the eighth year in a row Mike Starks has been awarded the Five Star Award for Excellence in Real Estate: Mike Starks Realtor Five Star Award in Real Estate. Texas Monthly partnered with FIVE STAR Professional to identify the real estate agents in Texas who provide exceptional service and overall satisfaction as indicated by clients, peers and industry experts. FIVE STAR professional independently employs research methodology using objective market research methods. The intent of the research is to develop a list of real estate agents in a given market who score highest in overall satisfaction, based on an objective market research methodology that takes into account client evaluations in nine categories, with adjustments to reflect inputs from peers, regulatory compliance reviews, and Blue Ribbon Panel reviews. Each respondent is asked to evaluate only real estate agents whom they have worked with and evaluate them based upon nine criteria: customer service, integrity, market knowledge, communication, negotiation, closing preparation, finds the right home, marketing of home, and overall satisfaction. Additionally, respondents are asked whether they would recommend the agent to a friend. This information is incorporated into a scoring algorithm as a cross check against their average rating. Recent home buyers and readers of the partnering city/regional magazine may evaluate up to two real estate agents (buy and sell side), while Mortgage and Title Companies may evaluate up to three agents. After the evaluation surveys are received, each real estate agent is given a Client Score and a Peer Adjustment Score. Both favorable and unfavorable evaluations are incorporated. I am very proud of the recognition since the FIVE STAR Real Estate Agents are a select group of fewer than 2 percent of all real estate agents. The community of Fredericksburg is blessed with some of the best Realtor’s to be found anywhere in the State. Why do I think I have received accolades as a Real Estate Agent from so many past clients? I believe it is because I really do care about the folks I work with much more than I care about just getting another deal closed.